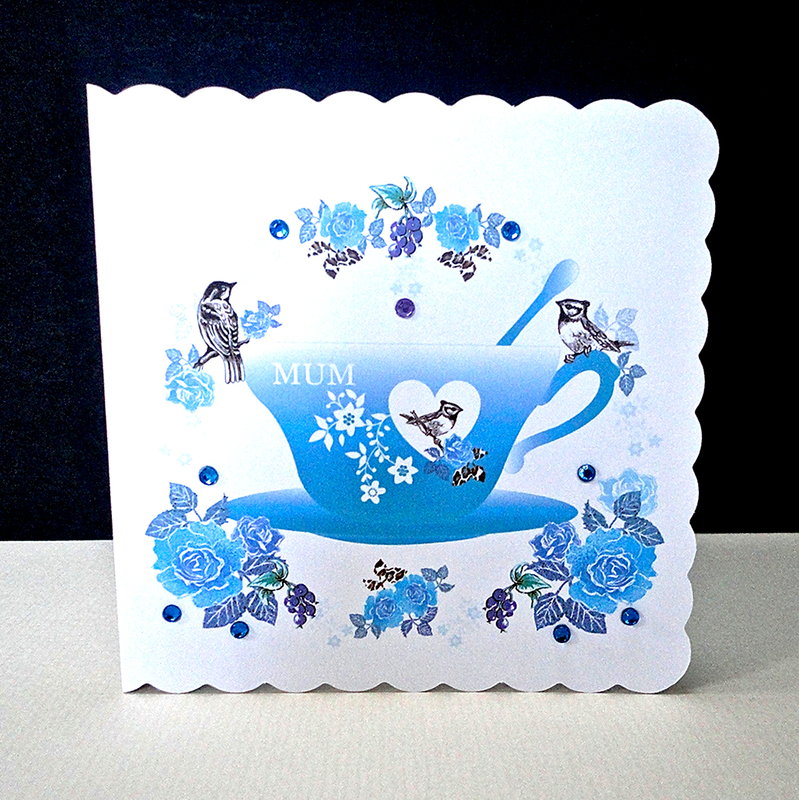 This quintessentially English Teacup card is perfect for Mum, whether for her Birthday or for Mother's Day. 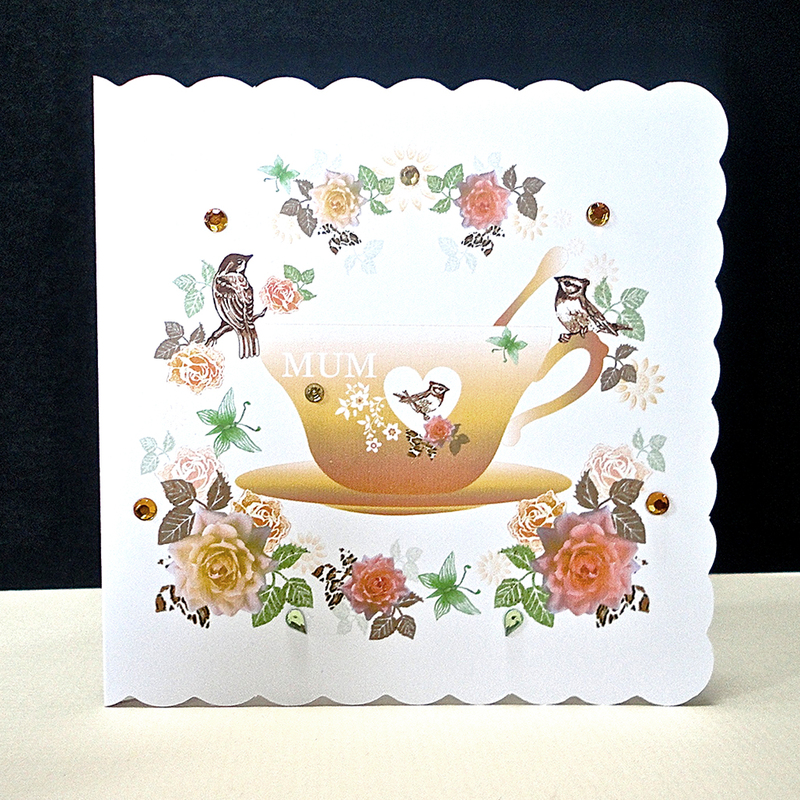 The cup and saucer sits surrounded by roses, berries and hand drawn black and white garden birds. 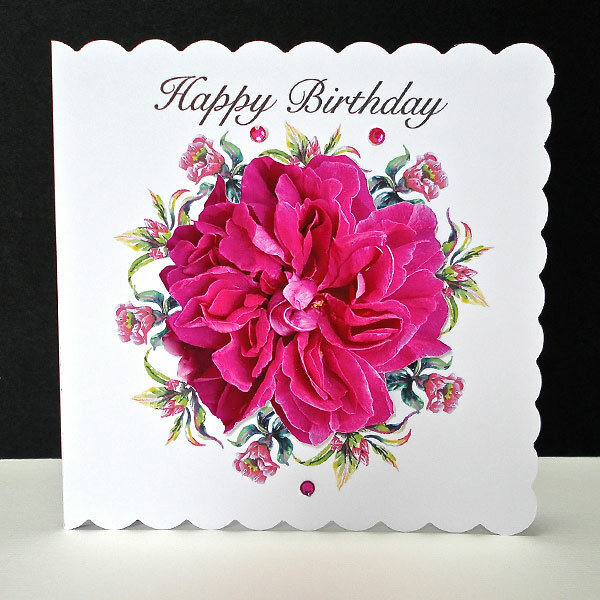 To bring a sparkle to this cosy scene, small glass gems are sprinkled around the edges of the floral clusters. 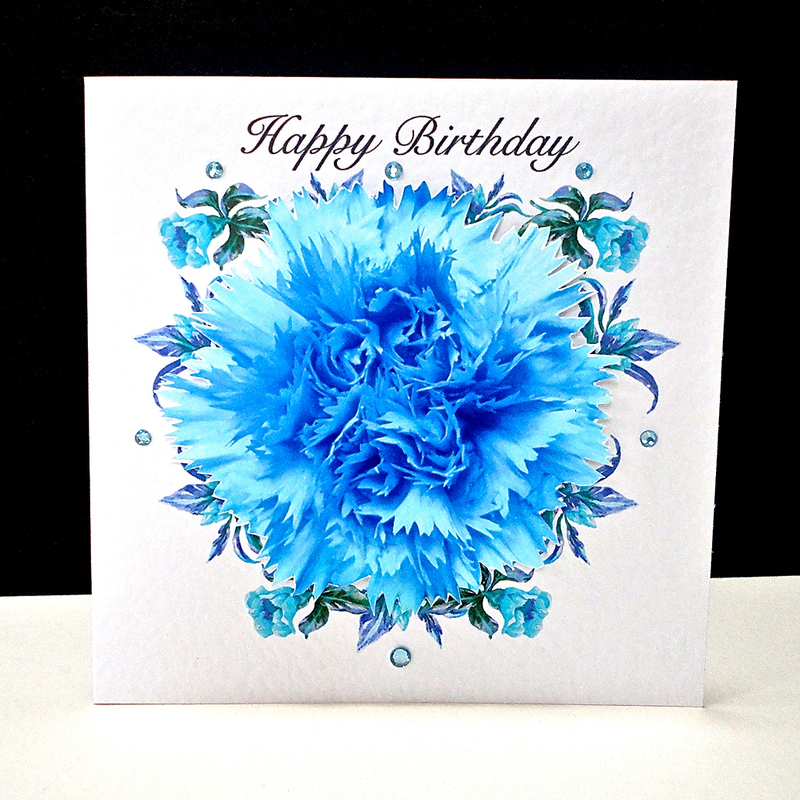 This pretty little card comes in two colour-ways – cool blue or warm tones of gold. 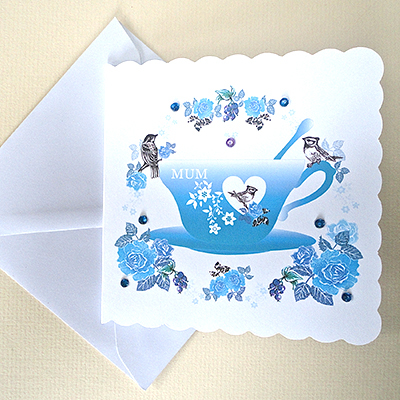 The white card is 120 x 120mm with a scalloped edge and matching white envelope.